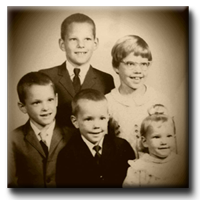 Russ was born in Hershey and raised with four siblings in northern Lebanon County. After graduating from Northern Lebanon High School and Lebanon County Vo-Tech in 1981, he entered the work force as a production laborer at O'Sullivan Corporation in Lebanon. Seven years later he chose to pursue a career as a musician. His experiences as a musician led him to open a recording studio in the Lebanon area in late 1992. The business subsequently gained regional acclaim and was transformed into the nationally known CD and DVD manufacturing and duplication service known as Raintree Multimedia. He continues to own and operate the Annville-based firm today. Prior to being elected to office in 2014, Russ was best known for founding PACleanSweep in July 2005 in response to the infamous legislative pay raise. The group recruited over 110 candidates for legislative seats during the historic 2006 elections where 55 legislative seats changed hands, more than 12 times the usual turnover rate. Thirteen PACleanSweep candidates were elected to the House of Representatives in 2006, the pay raise was repealed, and the group was instrumental in Pennsylvania's first ever non-retention of a Supreme Court Justice. 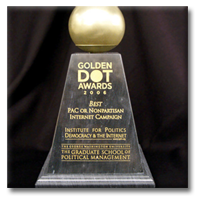 In 2005 PACleanSweep was awarded the Golden Dot Award for Best PAC or Non-Partisan Internet Campaign by George Washington University's Graduate School of Political Management. In 2006 Russ was named one of three Citizens of the Year by the Philadelphia Inquirer for his anti-pay raise efforts. Later that same year, he received numerous other awards for his reform activism, including the Public Service Achievement Award from Common Cause/Pennsylvania and the Communicator of the Year award from the Harrisburg chapter of the International Association of Business Communicators. 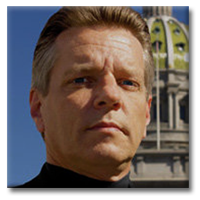 Russ served as a member of the Lebanon County Republican Committee from 2010-14 and chaired its By-Laws Committee, which proposed an overhaul of the Committee's endorsement process. The proposals were adopted by the LCRC membership in a near-unanimous vote. He also served as office manager for the LCRC from March 2012 through April 2013, focusing his efforts on modernizing the Committee's bookkeeping practices and upgrading its website. 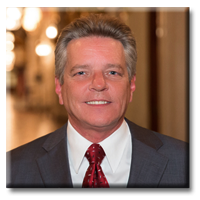 Currently in his second term as a state legislator, Russ serves on the House Agriculture & Rural Affairs, Gaming Oversight, Tourism & Recreational Development, and Local Government committees. He is also an active member of the informal 2nd Amendment and Pro-Life caucuses. Russ proudly stands against higher taxes and bad budgetary policy and has consistently championed the objectives of limited government and individual rights at every turn. He utilizes social media extensively to provide constituents with information regarding his efforts to accurately represent the people of the 102nd District. A private pilot since 2001, Russ was a member of the Annville Flight Club for 12 years and served as its President for eight years. He was employed as an over-the-road driver for Millis Transfer, Inc. from 2013-14 and resides in Annville in a home built by his great-grandparents.